Welcome to week 186 of Travel Photo Thursday. Arriving bleary eyed after almost 24 hours of no sleep, I managed to find my hotel and literally fell into bed. The hotel was a quick stop. At noon I was picked up by my Airbnb host and whisked off to the condominium that will be my home away from home for the next 5 weeks. More sleep, and by yesterday I was ready to venture out to find the bus and head to Georgetown. Having been here previously, I am familiar with some of the sites, but as how to get from here to there, not so much. It was a fun day wandering around with my camera, and here are a few shots of the day. 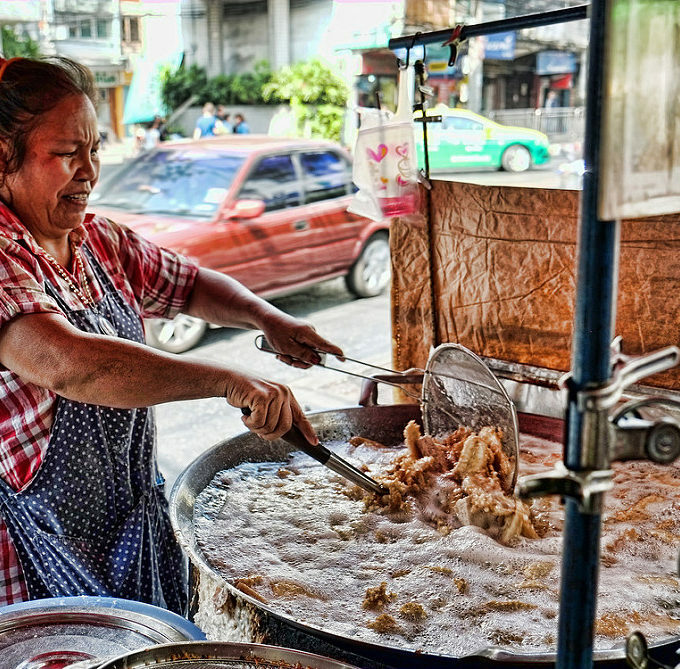 My day started with a delicious bowl of Hokkein Mei, from a local street vendor. A must try dish in Penang, and very flavorful. The vendor was kind enough to put the spice in the spoon, which was promptly added to the bowl, and added just the right amount of heat! Don’t you love the blue cutlery? 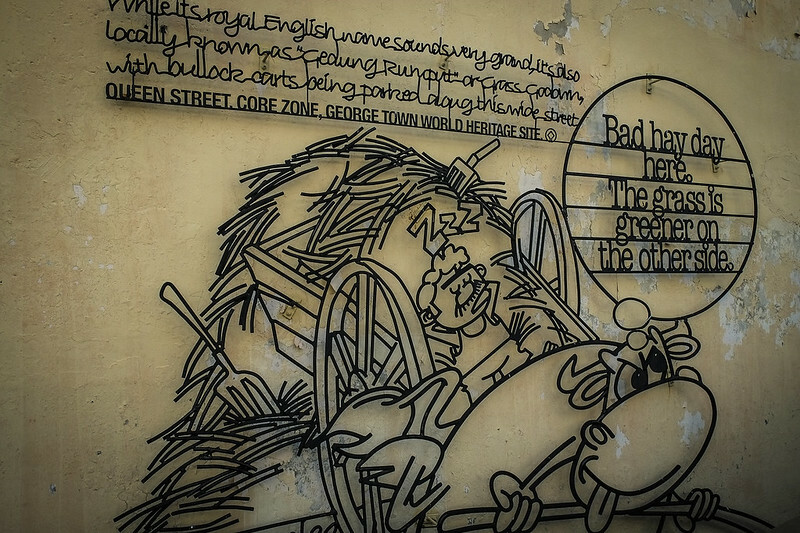 Penang has become known for its street art. Love this one on Georgetown’s Queen Street. These two sisters were off somewhere with their big bags. I’m assuming they were off to sell at the market. They enjoyed having their photos taken, but were a little shy to talk. Finally, the “Treat Man”…no need to walk to the store, he comes to you. Lots more to come from Penang, over the coming weeks. Have you been to Penang? What was your favorite thing to do here? 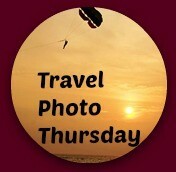 This is the 185th edition of Travel Photo Thursday. You can browse the archives here. I’m so glad you’re enjoying Penang. My favorite activity is just wandering around George Town. Looks like you’re already doing it. Nice pics. Wow the Hokkein Mei looks delicious. What an interesting day you had, Nancie. Glad you’re enjoying Penang, it’s somewhere I’d love to go back. Hi Johanna! It was delicious and I can’t wait to try it again. Those noodles are just about leaping out of the bowl. Anything that looks like that has to taste fantastic. Can’t wait for more Georgetown treats. Those noodles were so good, I could have asked for more! However, I was good because I knew I would find lots more to eat along the way. i love the street art! Georgetown looks like such an interesting place – looking forward to seeing more! Hi Molly! There is a lot to see, and I’ll be here for a while, so I’m looking forward to getting to really know Penang. 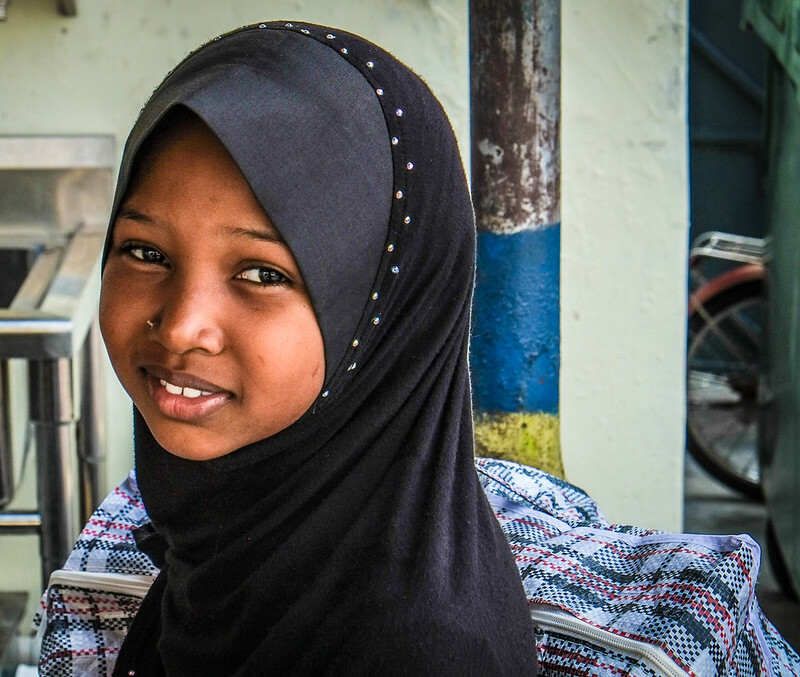 Malaysia is one of the places in SE Asia I haven’t gotten to at all and would like to. Such a melting pot! and of course great food. 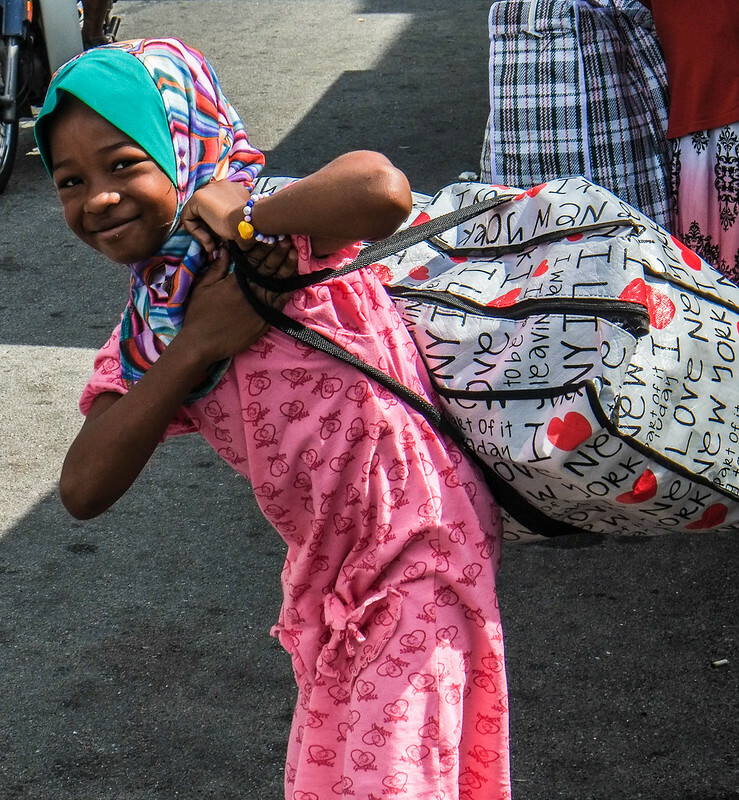 I’ve traveled a fair bit in Malaysia, and it is a great country; lots to see and do. Hi Rachel! Thanks! Yes, the girls were lovely. I’m glad you made it to Penang, Nancie. Those girls are adorable and that soup looks delicious. I have seen some of Penang’s street art around the blogosphere and I’m looking forward to seeing more from you. Have a wonderful vacation! Hi Mary. Yes, lots of interesting and funky street art around. You never know when something is going to “pop” out! What a marvelous first glimpse! I’m looking forward to more. Malaysia is definitely on our list. Hi Betsy! Thanks, and Malaysia is a great country to visit. Lots to see and do and great food. Those noodles look yummy! I’ve never been to Malaysia but would love to go there someday! They were yummy, and I have “given” them a post of their own! 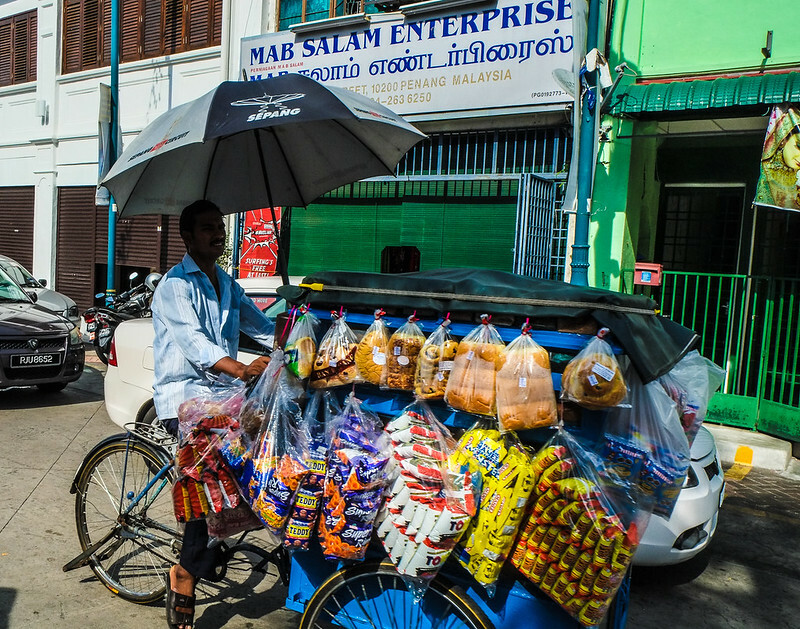 I loved exploring the food scene in Malaysia! 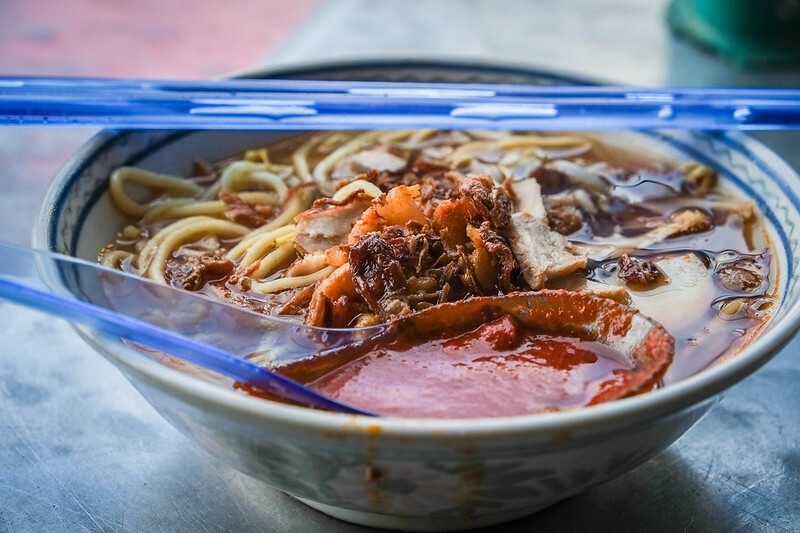 Penang looks like an amazing culinary destination and one I didn’t get to on my visit – those noodles look delish! Hi Michele. There is no lack of great food here. The challenge is…what to eat next! Hi Nancy! So glad you are enjoying Asia through my eyes! What wonderful photos from Georgetown. The food looks delicious and the smiles are beautiful! What great photos sharing your trip. Thanks for sharing! I have not been to Penang. This was a nice teaser for a visit.